The prettiest guide to our planet! Welcome to Europe: home of cuckoo clocks, the Eiffel Tower, spaghetti bolognese, Lippizaner dancing horses, BMW motors, Spanish flamenco, the Alps and oh so much more! This book is a journey through a continent of wonders, both man-made and natural – all shown in beautiful illustrated maps. What’s not to like? You’ll explore history, culture, landmarks, wildlife, people, industry, leisure and sport. 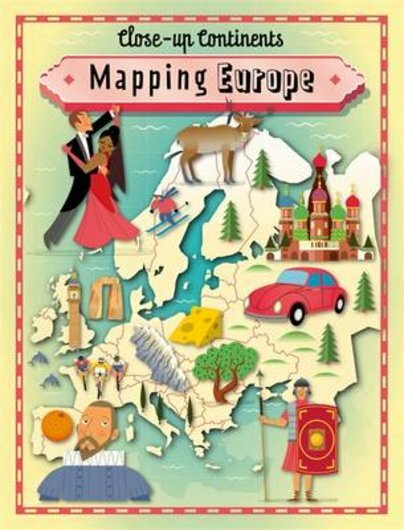 Basically, everything that’s amazing about Europe, revealed in fun facts and colourful maps full of gorgeous hand-drawn art.